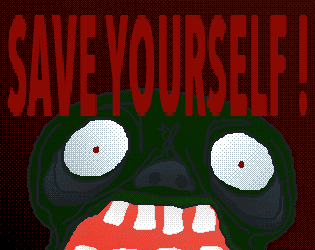 Escape zombies and avoid helpless victims! Don't try to be a hero, the only person you can save is yourself! Get the energy drinks before the zombies do!